The mission of the Living Legacy is to transform Jewish values and ideals into a living force in the lives of children and youth through positive experiences. Instilling the desire to live Jewishly, and to actively participate in and contribute to the Jewish communitys heritage and practices, is the key goal of this program. Raising the spirit and bringing fresh excitement to Jewish learning. Stimulating hands-on programs linking Jewish learning to Jewish practice and family celebrations. 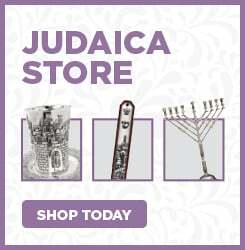 Experience the beauty and joy of Shabbat, holidays and festival rituals and observances. Gaining an expressive appreciation for Jewish tradition through active personal participation. Internalizing idea and concepts, leading to inner growth and further learning. Involving parents and families in the educational process. A Jewish Educators Dream Come True! Programs are portable for easy transport to your school, synagogue, youth club, or other location. Just tell us where, and well be there!